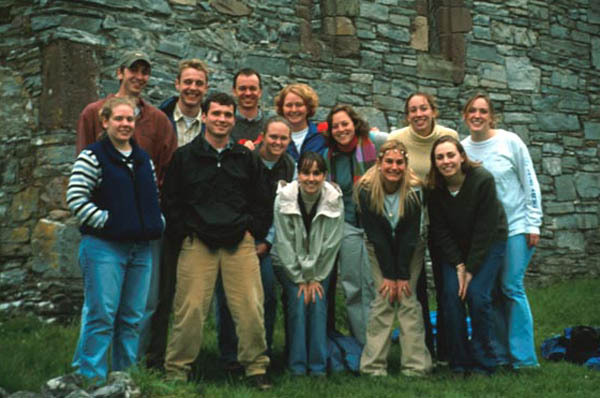 On April 17, 2000, Professor Conner of the English Department and 12 intrepid W&L students arrived in Ireland and began a six-week immersion into Irish culture, history, landscape, and literature. In those six weeks we covered a good deal of the Irish countryside, studying sites ranging from medieval castles to Georgian manor houses, neolithic burial tombs to monasteries from the early middle ages, enchanting islands to lonely mountain tops. 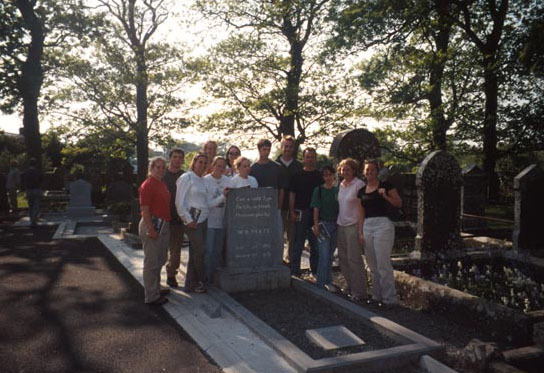 In the pages that follow, you can study and view the major sites and landmarks of our journey, and share with us some of the astonishing world of Ireland that we experienced. Just click on the sites listed on the template to the left, which go in the chronological order of our journeys.